Q: How do I find opinion polls or survey results? There are lots of ways to find survey results using library resources. Statistics Databases contain survey results, as well as statistics and government datasets. To search the databases listed below, go to the A-Z Databases list and choose Statistics and Datasets from the Database Types menu. Polling the Nations features thousands of opinion polls dating back to 1986 and coming from more than 100 countries. Statista is another library database with survey results from a variety of topics. Statista aggregates statistical data from thousands of sources to create reports that are categorized into market sectors. Although Statista is often used for market research and industry analysis, it contains the results of thousands of surveys from public and private sources. Newspaper databases can also contain opinion poll results, because many opinion polls are conducted by media outlets. To search the databases listed below, go to the A-Z Databases list and choose Newspapers from the Database Types menu. Nexis Uni contains thousands of newspapers from all over the world. ​Using the ! at the end of the words will search for any word that starts with the root word. Searching for poll! will give you news articles that include the words poll, polls, and polling. Using the word OR between poll and survey will return news articles about both polls and surveys. Other databases, like Newspaper Source or ProQuest Newspapers, include the full text of major newspapers from around the world. Newspaper Source also includes radio and television transcripts. 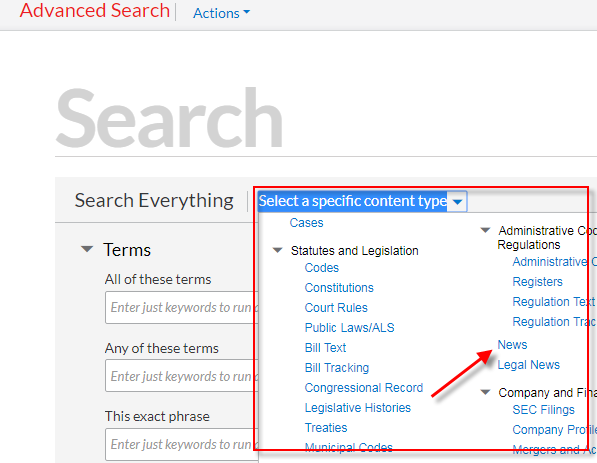 To search a single newspaper, follow the steps to search a specific publication, then follow the steps above. The Pew Research Center conducts polls and research on issues, attitudes, and trends in the United States and around the world. The Kaiser Family Foundation researches health care issues in the United States.